Despite of superlatives and stereotypes, Rio de Janeiro can be considered one of the world most beautiful and fascinating cities. 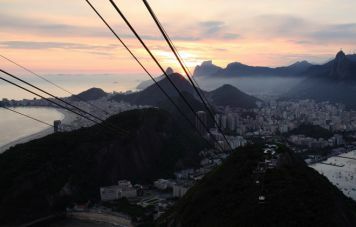 Hosting some 7 million inhabitants, Rio is squeezed in between the green mountains of the coastal rainforest and tropical beaches at the shores of the Atlantic Ocean. 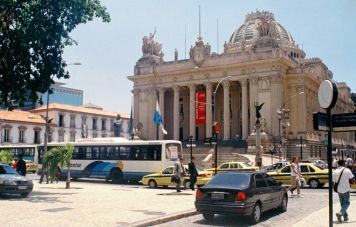 The city essentially shows the lifestyle of a South American metropolis, with a strong touch of tropical laissez-faire. A wide range of scenic, cultural and architectural highlights prove that the city does not strive exclusively on samba and carnival. 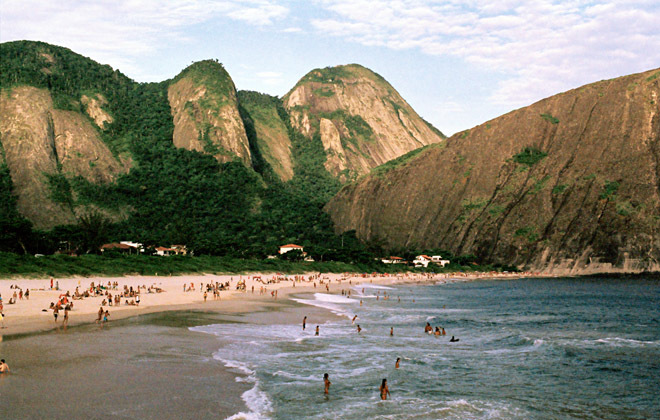 A visit to the Sugar Loaf, the Corcovado mountain and a bath at the famous beaches of Copacabana and Ipanema is obviously a must. The visitor should not miss out, however on a stroll through the historical part of the city. Colorful, loud and busy, the city displays colonial architecture and – in contrast – modern office buildings, banks and business centers. 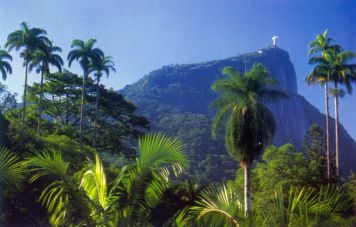 But there are also quite corners and hidden places, where one can relax and meditate, surrounded by the exuberant tropical nature that makes Rio de Janeiro so attractive for visitors and locals alike. 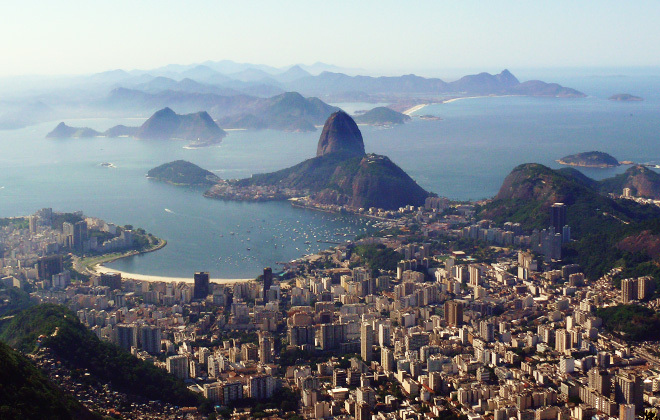 Pick-up at Rio de Janeiro airport and transfer to your hotel. We recommend the Hotel Miramar right in front of Copabana beach. After a long voyage the best thing to do is a relaxing stroll on famous Copacabana beach promenade. 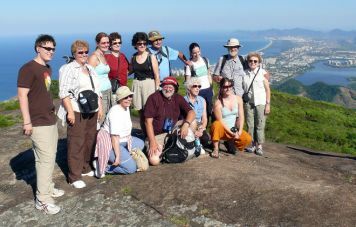 In the afternoon we take you for a cable car ride to the top of the 396 m high Sugar Loaf, world famous symbol of Rio de Janeiro, featuring views of the ocean, the bay, the surrounding mountains and the city itself, not to speak of the exuberant tropical vegetation on this island mountain. Right underneath the mountain there is a charming coastal path where we can stroll along while watching guenons and several species of humming birds. At night you may want to dine in one of Rio's fine specialty restaurants that we would be pleased to suggest. Pick-up at the hotel. 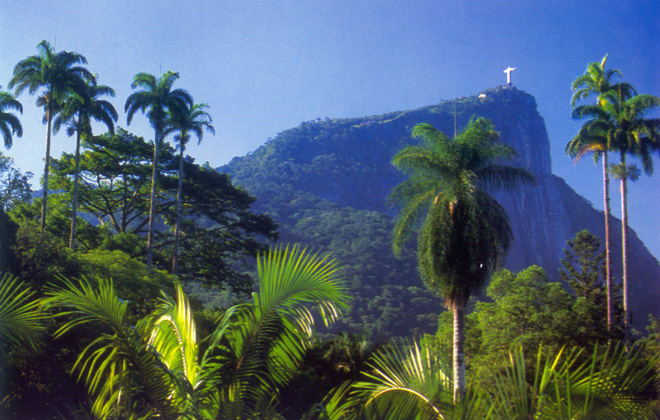 The 704 m high Corcovado mountain with the world famous statue of Christ the Redeemer offers an outstanding view over Rio de Janeiro, Guanabara bay neighbouring Niterói´s ocean beaches and organ pipe mountains. 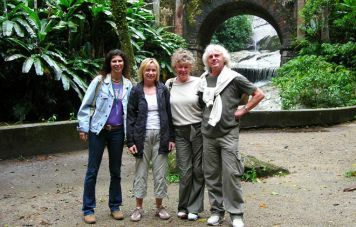 Next, a tour through the Floresta da Tijuca National Park, the world's largest urban jungle with breathtaking views, waterfalls and rich tropical vegetation. Visit of the Capela Mairynck, a historic chapel from the 19th century with wall paintings by Portinari. Lunch at a restaurant located amidst the jungle. Nearby the Museo do Açude / Museo Castro Maya in the heart of the rainforest, features a permanent exposition of contemporary Brazilian artists as Hélio Oiticica, Lygia Pape and José Resende. Next is a visit to the famous botanical gardens. The Jardim Botânico, was founded in 1808, and is considered one of the world's most beautiful botanical gardens, with 7,200 species of flowers, plants and trees. The garden is designed as a landscape park and beautifully embedded at the foothills of the surrounding mountains. At night, instead of the usual tourist samba shows we take you to out to enjoy world famous Brazilian singers and musicians at the Teatro Rival or Canecão. 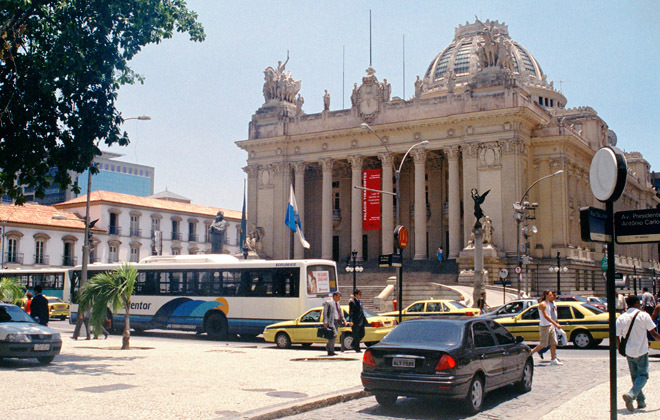 Our sightseeing tour begins on the historical Cinelândia square in front of the Teatro Municipal, built in 1909 imitating the style of the Paris opera house. Nearby, we see Catedral Metropolitana / Petrobrás / BNDES, a fine ensemble of modern Brazilian architecture with gardens by Roberto Burle Marx, and the Convento de Santo Antônio, a magnificent baroque church with monastery from the 17th century, high above the Largo da Carioca square. Visit of the Real Gabinete Português de Leitura, a noteworthy old bibliotheca from 1888 and the Confeitaria Colombo, Rio's finest coffee house founded in 1894. Then the old wooden tramway brings us across a viaduct from 1750 to the charming artists neighborhood Santa Teresa with small streets, historical mansions, bars, ateliers and arts and crafts shops. On the way home visit of the Chácara do Céu museum with interesting pieces of Brazil's colonial history and modern art. A panoramic car ride on the 13 km long bridge crossing the Guanabara Bay brings us to Niterói. Highlight of the futuristic coast walk Caminho Niemeyer is a visit of the Museu de Arte Contemporânea, the museum for contemporary art with audacious design by Oscar Niemeyer. Following the coastline we visit the Fortaleza de Santa Cruz from 1555, one of the oldest and best-maintained fortresses of Brazil, providing spectacular views of the bay and Rio de Janeiro. 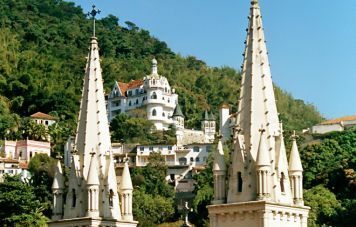 Lunch in a beautifully restored 19th century patrician mansion and relaxing at the beaches of Niterói enjoying the magnificent landscape and panoramic views of Rio's mountain range. Early pick-up at your hotel. 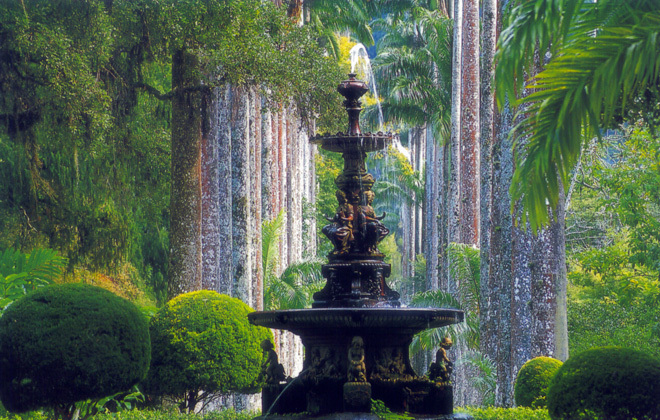 A one hour drive takes us to the Sítio Roberto Burle Marx, the country residence of Brazil's most important 20th century landscape architect with beautiful gardens, thousands of rare plants and a 17th century chapel. After the visit we have lunch at a restaurant offering great views of the huge Restinga de Marambaia coast line. The beaches of Grumari and Prainha invite for a swim in an environmentally protected landscape. 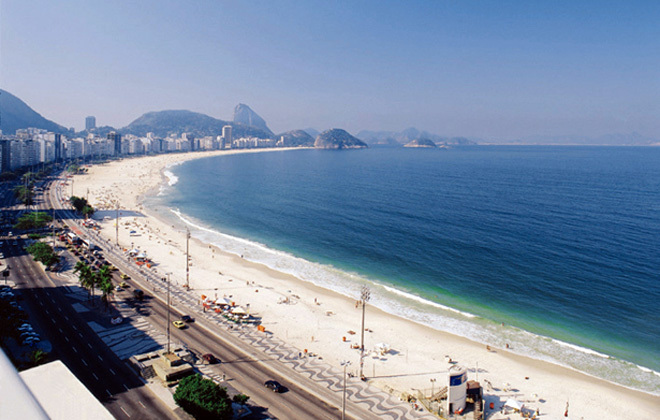 Return to Rio on the panoramic Avenida Sernambetiba highway with views of the Barra da Tijuca beaches and mountains. On the way, stop to visit the former residence of Brazil's world famous architect Oscar Niemeyer, the Casa das Canoas, constructed 1953 and spectacularly situated in the jungle high above São Conrado beach. At sunset, we sure have earned our caipirinha which we enjoy while overlooking the ocean on the cliffs of Mirante do Leblon. after a long journey we have finally arrived at home in Lyon. Muito obrigado, muito obrigada, for your amiability, your smile, your culture and your competence. Please find attached the photos you asked for. Discover Rio! 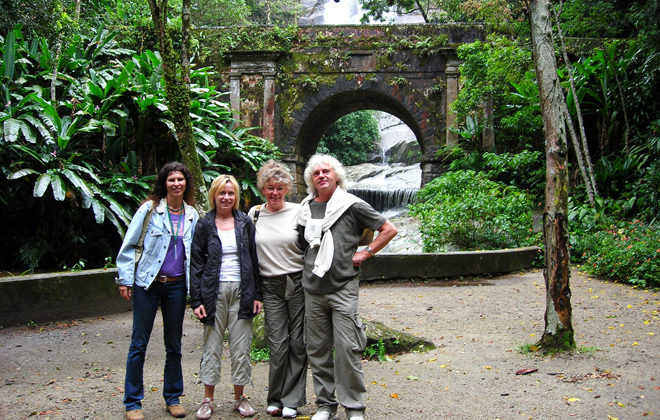 We have experienced the most pleasant way to discover Rio de Janeiro. It simply could not have been more beautiful and better organized. Anita and I recommend everybody: Make your booking arrangements with Southern Cross Tours and you will enjoy your holidays from the first to the last minute. Thanks for the wonderful days and hours! PS: The postcards arrived now, after 4 weeks! I would like to thank again from my heart for the outstanding way of taking care of us in Rio de Janeiro. This idea to book our rooms with you, in one of those charming Villas of the Santa Teresa quarter, instead of staying in one of the many tourist hotels in Rio de Janeiro, payd full off. The rooms were classy, the villa has charm of its own. the breakfast on the terrace beats any hotel breakfast hands down. 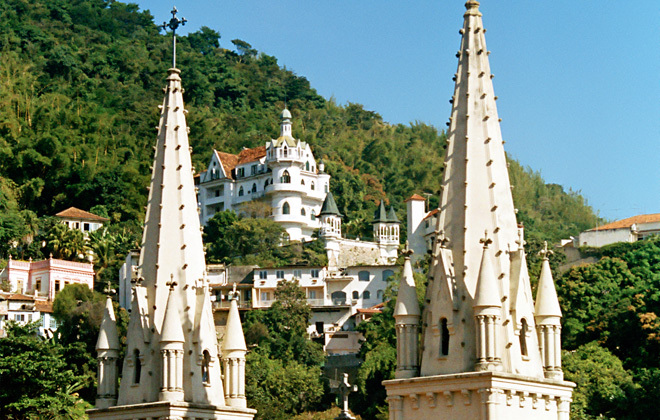 Santa Tereza and Lapa neighborhoods are very authentic old charm Rio de Janeiro. We effectively had only 3 full days time for seightseeing, which is far to less, but Annette managed to show us the city in an way that we actually became to love Rio de Janeiro. The tourist attractions Corcovado mountain with Christ Redeemer, the Sugar Loaf, the beaches of Copacabana and Ipanema obvioulsy, are a must, but we also hiked through lush patches of Atlantic Coastal Rainforest, strolled through the famous Botanical Gardens, went to a soccer game in the not less famous Maracanã Stadium, an unique experience, and even were taken to a rehearsal at the Sambadrome. There were not the splendorous parade waggons but there were the locals instead who gave the event an extremly authentic aspect, which you dont find at the presentations made up for the tourists. I would like to highlight the evenings and the discussions on your terrace. Through those intens discussions and your way of looking at things we have learned more about Brazil as we woud ever have with any other travel organization. Even for me, and I consider myself of knowing Brazil very well, there was a lot to olisten too and to learn. 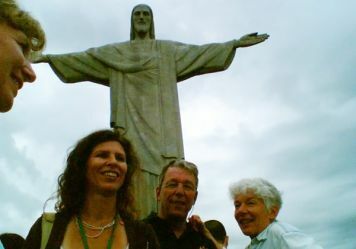 For all this I recommend everybody, also small groups as ours, if you go to Rio book with Peter Rohmer. Everybody is back and safe. The trip was one of our greatest experiences. Judy Kjellman has sent an e-mail to some at the college where we teach to express how wonderful the trip was. Others have expressed the same feeling to friends in the town where we live. People I don't know, have come to me to tell me how come they didn't know about the trip. Brazilian People and German people turned into Brazilean folks are wonderful... so it made our experience much more enjoyable. We would like to let you know that, thanks to your competent, good humored and flexible ways, we had a wonderful time in Rio. We were overwhelmed with the world famous tourist attractions, but what really made the difference were these insider places, like when we had dinner together in that charming little restaurant after the adventurous tram ride to Santa Teresa. Also your driving abilities in the chaotic Rio traffic were quite remarkable. This way we got a very lively impression of the city. It is really pleasant to know that you can count on your guides and in having enjoyed your company, we did feel very comfortable at all times. Thanks a lot for the time with you - we can really recommend you. we want to thank you again for your care taking and efforts before and during our stay in Brazil, particularly for you patience with tourists that griped about the weather etc. You showed us once more so much and the best of this gorgeous world on the other side of the ocean, [...]. Therefore we thank you by heart. You and your small team managed to plan and to execute a sophisticated and demanding travel program. Now we have an idea of Brazil, its people, its history and culture. 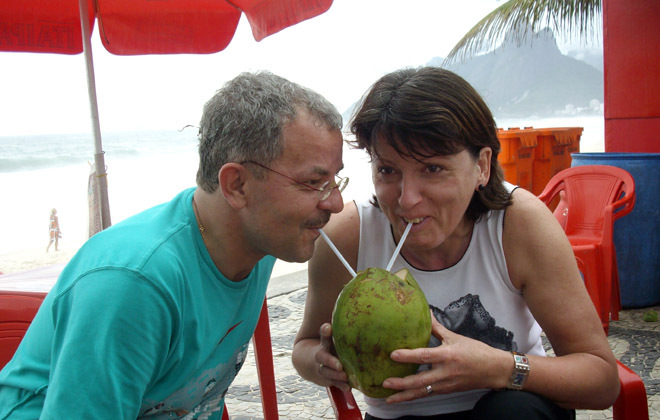 Everything was interesting for us: Rio, Paraty, the Fazendas and, particularly impressive, David Miller and Bel his great wife. 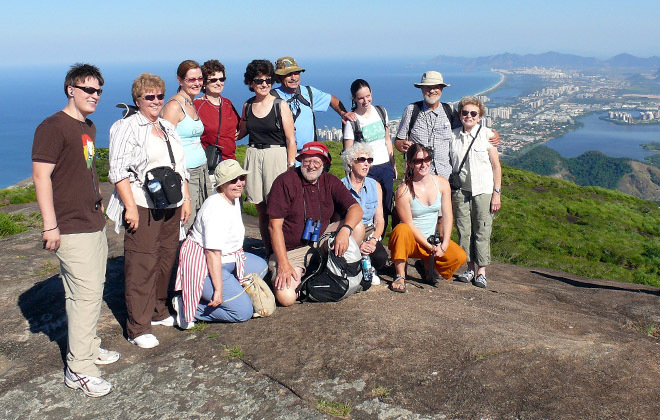 During a possible next trip we still would like to get to know more of Brazil together with you. Our best greetings go also to Annette and Benjamin. 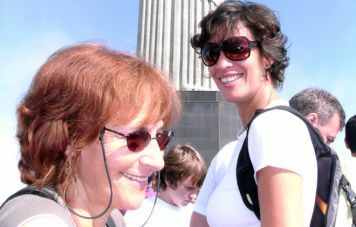 One more time many thanks for your and Annette's care in and around Rio. It was simply perfect. We enjoyed every second. Not only the excursions itself, but also and in particular, your company was what made the tour different. You both are extraordinarily good 'guias'!